There are thousands of different types of mold that occur in the natural environment, and only some of these types are found indoors. They come in all colors, shapes, and sizes. Some are toxic and some are not. Some are less common. One of the most well-known molds to get a bad reputation is toxic black. Its scientific name is Strachybotrys chartarum. When this type of black mold is found in an indoor environment, it is important to get professional help. Even in small concentrations, Strachybotrys chartarum is hard on your health. The dangers of black mold include respiratory difficulties, especially for the breathing impaired and asthmatic, and may have a negative effect on reproductive, circulatory, and other body systems. Black mold effects can be widespread and damaging. There have been many studies conducted on the effect of mold, particularly black mold, on health. Studies have linked increased asthma development in children who were exposed to mold at young ages. Other studies have indicated that about one-quarter of our homes have mold problems that can be linked to health issues. Children’s immune systems are not fully developed, making their bodies susceptible to virus, bacterial, or fungal invasions. Mold, being a fungus, is considered a contaminant and kicks in an autoimmune response that might be fine for an older individual, but not for a child. The elderly are at a similar risk but for a different reason. 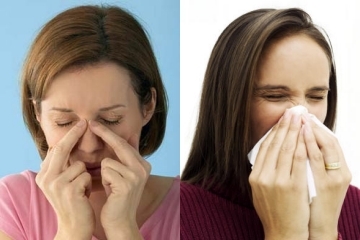 The immune system of an elderly person is deteriorating, rather than developing, and that makes him or her more susceptible to mold’s influence. So what are the signs of black mold? The difficulty for most people is determining what type of mold they have and how to effectively get rid of it. That is where professional mold inspection and testing services come in. If you see any sign of black mildew (which may really be mold), especially in damp areas, such as the bathroom or a poorly-ventilated room, consider getting it identified and treated. 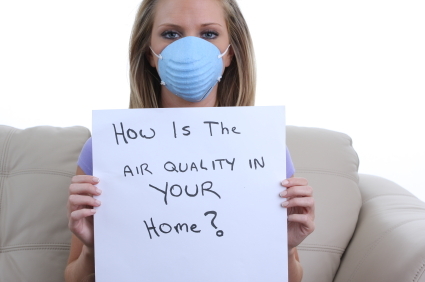 You may also sense a musty odor or an unpleasant smell that is often associated with mold. If you know of defects in your property, such as faulty ventilation or cooling systems, or high humidity, then that can be an indicator that mold could be present. Any staining of drywall, ceilings, or floors that may be indicative of damp conditions or a leak can also be a clue. Sometimes mold colonies won’t be present, but mold spores, which are toxic, can be airborne. A licensed and certified professional is the best step to take when you need to get rid of black mold, once and for all. Indoor-Restore Environmental Services is the type of company that has the experience to take care of the problem. Call us at (866) 358-3838 or refer to their website at indoorrestore.com for all pertinent information related to their services, expertise and pricing. Getting rid of black mold can be cumbersome, to say the least. It is a very procedural process, involving numerous steps to be protected from potential personal harm and to ensure that more invisible mold spores are not released into the air. As a DIY (do-it-yourself) project, it is not recommended. A typical homeowner or renter simply does not have the expertise, protection, or tools required. At best, it would be a quick fix. With mold problems, the fix needs to be complete and thorough. At worst, it could be dangerous and make the problem worse. If you want to know how to clean black mold, you would be best advised to put it in the hands of professionals dedicated to mold inspection, testing, and removal.